Bay Oval could offer a different template, so India will be wary of a backlash. New Zealand have pin-pointed two “obvious” areas where they need to improve for Saturday’s second one-day international against India – batting and bowling. India exposed a huge gulf between the world’s second- and third-ranked sides when they strolled home by eight wickets in the series opener at Napier on Wednesday. Shikhar Dhawan, who finished unbeaten on 75 as India chased down the 156-run target, said there was pressure on all the tourists to perform if they wanted to make the squad. New Zealand played Mitchell Santner as their sole spinner in Napier but may add Ish Sodhi to the line-up for game two following the success of India’s spin pair Kuldeep Yadav and Yuzvendra Chahal, who took six wickets between them in the opener of the five-ODI series. 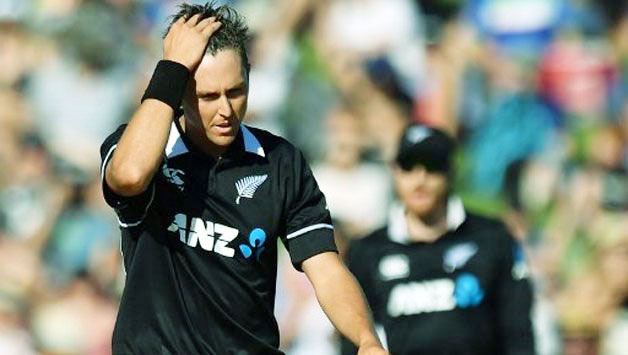 After putting up scores in excess of 300 in three straight ODIs against Sri Lanka this month, New Zealand were dealt a blow in the series opener against India and now face a stiff challenge to push the second-ranked team in the second match at Mount Maunganui’s Bay Oval. Returning to the venue at which they recently piled up 371 and 319 could act as some sort of inspiration for New Zealand, but for a change in results they will have to bat exceedingly well against one of the most potent bowling attacks in the game. Kane Williamson has called for a smarter batting display from his team after they were beaten by nine wickets in the opening ODI. Having opted to bat, Williamson top-scored with 64 out of a sorry total of 157 in 38 overs as Mohammed Shami, Kuldeep Yadav and Yuzvendra Chahal combined to confuse the hosts. That the Blackcaps managed middle-order alliances of 34, 24, 31 and 26 speaks of the way India dominated. In three days, New Zealand won’t have to worry about Virat Kohli but there are still two innings to try and contain him. Bay Oval with its run-filled reputation could offer a different template after a surprisingly slow Napier track, so India will be wary of a backlash. The hosts dropped the legspinner Ish Sodhi for the last game, while India added a second wrist-spinner. Sodhi could slot back at the expense of Doug Bracewell, unless New Zealand opt for Colin de Grandhomme to bolster the lower-order batting. It may not be a bad idea to push Tom Latham up to open with Martin Guptill, but the management appears to have faith in Colin Munro. Hardik Pandya has been allowed to return to cricket, but as he has not landed in New Zealand he is out of the reckoning. India are unlikely to make any changes. – New Zealand have three of six ODIs at Bay Oval. India have not played here. – Seven ODIs at Bay Oval have produced a 3694 runs. The last two ODIs played there this month resulted in over 1300 runs.